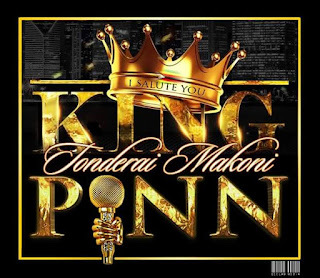 When talking about Zimbabwean Hip-Hop it's tantamount to blasphemy to leave out the name of one Tonderai Makoni better known by his stage name King Pinn. King Pinn was the son to former Minister Simba Makoni and he was born in Leicester in March 1980,later relocating to his Homeland of Zimbabwe where he spent his childhood days in Marondera. King Pinn is best known for his pan African anthem I Salute You in honour of all the African leaders who sacrificed their lives and freedom for the emancipation of this great continent of ours.Before his untimely passing at age 23 in May 2003 at the University Of Capetown Tonderai had dropped an album titled Verbal Vitamin sealing his position as one of the most skilled Zimbabwean emcees to ever bless the microphone. King Pinn was way ahead of tha game.